Just in case this is the first time you are hearing about these types of spirits, here are some references to the familiar spirits in the bible – Isaiah 65:4, Isaiah 19:3, 1 Samuel 28:8, Leviticus 20:27, Leviticus 20:6, Leviticus 19:31. Once you read these you will notice that they have to do with mediums and sorcerers who use these spirits to gain information into a person’s life. You see, not everyone who knows things about you is from the Lord. Some are just using familiar spirits to gain information on you which they then use to manipulate you into believing they truly have a prophetic gift and are from the Lord. 1 Samuel 28:8 is the story of Saul using a medium to conjure up the spirit of the prophet. We also know that as a result of him resorting to using a medium and a spirit instead of going directly to the Lord for answers, the Lord rejected him and put David in his place as king. Also, note that when the spirit appeared to Saul it actually looked like the prophet so he thought everything was OK until God rejected him because of it. This is important because there are so many people who pray to their dead parents or grand parents and regularly have conversations with them. If heaven is a place of constant praise and worship to God, where there is no sickness or pain, why would your dead relatives be visiting you on earth? There is no evidence in scripture that shows that Christians who have gone home to the Lord return to speak with their relatives. So, maybe people who speak with their dead relatives are not actually speaking to that relative but instead demons. You may have dreams about a relative that passed on but you shouldn’t be seeing them in your home. This could be a familiar spirit. 16 As we were on our way to the place of prayer, we were met by a slave girl who was possessed by a spirit of divination [claiming to foretell future events and to discover hidden knowledge], and she brought her owners much gain by her fortunetelling. 17 She kept following Paul and [the rest of] us, shouting loudly, These men are the servants of the Most High God! They announce to you the way of salvation! 18 And she did this for many days. Then Paul, being sorely annoyed and worn out, turned and said to the spirit within her, I charge you in the name of Jesus Christ to come out of her! And it came out that very moment. The bible says that the girl had a spirit of divination. This is the enemies counterfeit gifting to the prophetic gift. We see that she was a slave girl and sometimes people refer to the spirits as a slave spirit or a slave demon. This basically means that she is gathering information for someone else and not for her own use. She was being used by someone else. The same thing still happens today. You could have people in your life that are just there gathering information so that they can work against you or pass it on to others who will work against you. Working against your future, your children, your ministry, your finances, your business, your marriage and even your health. Whatever it may be they are not there for your good. They are always wanting to know everything you are doing. Keeping tabs on your progress. The enemy has been studying you since you were born and these familiar spirits and monitoring spirits are there to check the status of your life and make sure that you never fulfill the purpose and plan that God has for your life. None of these spirits can actually read your mind, since God is the only one who is omniscient, so they can only gain information by watching you or hearing it from you or others around you. Have you ever wondered why you keep going through the same problem? The same cycle of problems. Almost like you are experiencing deja vu? You keep losing your job at the same time of year. You have a cycle of going up and then going down. Your life seems to have a pattern. Well, there is a possibility that you have a monitoring spirit watching your movements to make sure that you never get there. You’re almost making it but not really. It’s very close but no cigar! You could have some familiar spirit from your family line that makes sure that you are going to have the same problem as your great grand father, your grand father, and your father. They are making sure that generational curse gets passed along. You can break all of this off. Think about what would happen is Paul didn’t stop this girl with this spirit that monitored his movement. It is obvious that he didn’t identify it as a spirit that was monitoring him until several days had passed. How could he know? Afterall she was saying the right thing that they were going around showing people the way to Jesus. It all looked good and was true but the spirit by which it was done was not of God. He wouldn’t be a able to get as far as he did with spreading the word of God if he did not cast that spirit away from his presence. As a matter of fact, once the owner of that girl found out that he could no longer use her to monitor people he made sure Paul & Silas ended up in jail. He was pretty mad! Yes, the enemy is going to get really mad when he finds out that you are unto his tricks and gimmicks. BUT, you must put an end to this if you plan on fulfilling your purpose and stopping a cycle in your life. 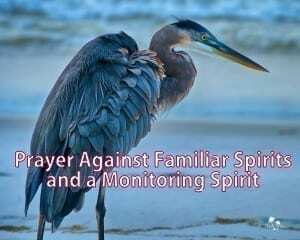 Here is a prayer that will help you achieve that against this monitoring spirits and familiar spirits. 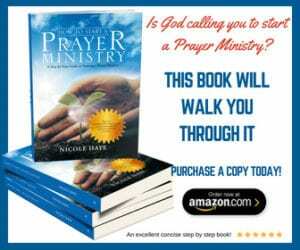 You can also put on the Armor of God before you start praying this prayer. Commander of Heaven’s Armies, I come to you today and put before you all the monitoring spirits and familiar spirits that are watching my progress and coming against the purpose and plans you have for my life. I ask that you would scatter every evil gathering that are made against me in Jesus Name. Disrupt their camp and send confusion within their communication. Disrupt their meeting and destroy the foundation of their meeting place. Fashion your weapon of devastation to destroy them. Absolutely no weapons that are formed against me shall prosper and any tongue that rises up against me in judgement You will condemn. Keep and guard me as the apple of your eye and hide me under the shadow of your wings. Cover me with your glory cloud of smoke by day and the shining of a flaming fire by night; be a canopy over me, a defense of divine love and protection. Put a hedge about me, my family, my finances, my job, my career, my children, my ministry and my house and all that I have on every side. Confer prosperity and happiness upon me and the work of my hands, and my possessions will increased for Your glory. Keep your words of the bible ever before me so that I may be wiser than the enemy. Bring to mind the scriptures I need to speak into the atmosphere to scatter them and destroy them. I tear up by the roots in the spirit anything that has been planted in my house, on my job, in my surrounding area, on my body that was not put there by you and was planted to destroy my hope and my future. Bring to mind any objects that are around me that would cause these monitoring of familiar spirits to congregate against me. Cover me under your blood Jesus – my life, my future, my destiny, my family, my job, my career, my health, my children, my marriage, my house, my finances, the ministry that you’ve given me so that the enemy will not be able to come against anything that belongs to me. Surely Your goodness, mercy, and unfailing love shall follow me all the days of my life, and through the length of my days the house of the Lord [and His presence] shall be my dwelling place. Lord may these monitoring spirits and familiar spirits lose my address. May they never find me again, in Jesus Name, Amen. Make sure to go through your house and destroy anything that you find questionable. You know that thing you have in your house that has always made you feel uncomfortable? Now is the time to get rid of it. Did you receive gifts from someone that you just don’t feel right about it? Get rid of it. Pay careful attention to the people that are in your life. Are they asking too many questions about your future plans and the progress that you are making? Be careful not to reveal too much. And if you notice that every time you tell a particular person about your progress and all the great things that God is doing in your life, the very thing falls apart they may have a familiar spirit attached to them. Most people don’t even know they are carrying this spirit so it is your job to pay attention to who you are sharing information with. If you say it to them and then everything falls apart, every time you tell them something, that is a clear sign they have a spirit attached to them that does not want you to succeed. It could be a familiar spirit, monitoring spirit or just the spirit of jealousy. You found this post today because you know that there is something not right about the negative cycles in your life. Be on guard, pray and God will deliver you from this spirit. My dear friend, you have exactly same experience like myself, mine is to the point that i have been dropped even with children, rendering me a single Mother. please think twice and don’t treat it with emortions. it may just not be a vocation / call for you. so pray that the holyspirit reveals to you your vocation and how i have managed to over come it is by believing that no love from the world is perfect and uncondional, eccept the Love from the man called JESUS CHRIST. Please this time round relate to him and you will testify to us again about a change in your experience. I am really tired of being in a relationship, it will start strong and serious. We would be what anyone would want in a relationship with one another, after a while somehow, people more like friends will be envious and interfere with the relationship, before I know it, the guy will betray me, abandon and start trusting my friend, and they will even start a secret relationship, they don’t go far but just to scatter and destroy my relationship, and what follows usually is slandering my enemy not me, revealing all my secrets, badmouthing etc and everything will just turn upside down. I gave a break in going into a relationship and just this last year, I was introduced by a friend to someone, he was so keen and fitted what I was looking for. But my friend was interfering so much and wanting to know what is going on per day and per second… After sometime I noticed the man went cold on me and up till today he refused to contact and after I was worried so much, my friend said she called him and he said he wasn’t interested again that he was complaining bitterly about me. I was so devastated that, here we go again, with friends always interfering in my relationship and forming alliance with the man against me. Help, I am tired of starting something and it is scattered and destroyed. I am so sceptical of going into any relationship and yet it is lonely. This cycle or pattern, I have noticed 4 times now of friends coming in between and turning the man indirectly to themselves. And the man will cooperate and join them slandering and badmouthing. I put so much into the relationship but all go to waste like I was a bad person and never appreciated again. Before this, they would cherish me so much like the best thing that ever happened to them.